The National Football League Original sixteen teams: the Giants, Bears, Cardinals, Packers, Lions, Redskins, Eagles and Steelers. 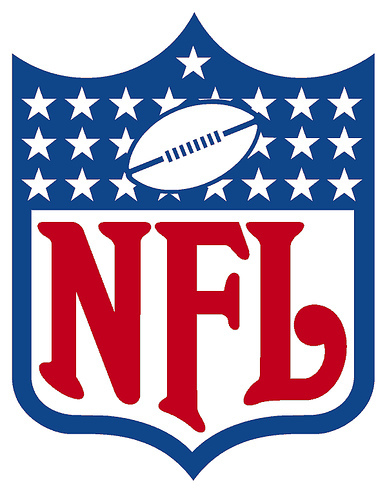 From 1944-1969 the Rams, Browns, 49ers, Vikings, Saints, Falcons, Cowboys, and Colts were added and in 1969 the league merged with the AFL, adding ten new teams. The ten teams that were added in 1969 were the New England Patriots, the Buffalo Bills, the Cincinnati Bengals, the Denver Broncos, the Houston Oilers, and the Kansas City Chiefs.